Join us each and every Monday for a strong cup of inspiration, Soul Coffee is a collection of stories, thoughts, questions and images to help you kick off the week with a bit of hope and encouragement. I have a little addiction to this hamburger spot near my home. That blue cheese burger - perfect little crumbles of goodness slowly melting into the most fantastic burger...they had me at the word blue. So now you have either stopped reading because you're a vegetarian, or you're hoping the address of this burger place is going to be included. I started to pour a little ketchup, and as usual, the stuff was stuck. Stuck good. I jerked it in a quick shake, nothing. So of course I do it again, and yup, same result, and I just come shy of knocking myself out. Then I see it and my mind remembers I know the trick, so why am I still trying to launch the bottle into burger space? Just midway up the bottle raised in the glass, the number 57 is printed. Holding the ketchup bottle, simply tap on the side directly hitting that “57” spot and the ketchup flows right out. A little higher, a little lower and the battle resumes, but right on that little raised glass number and you got it. I have no idea where I learned this info, just something a wise person passed on years ago. The thing is, I usually launch head long into this battle with the ketchup every time we meet, until I remember the little raised numbers. They are not boldly marked, no color, no large print, but they are there. 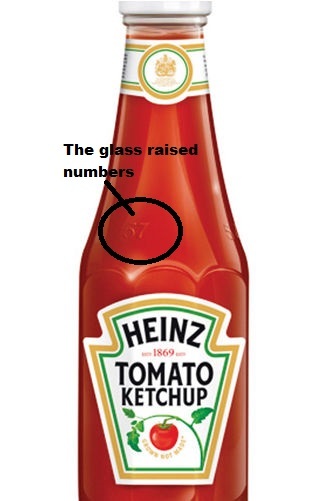 Standard on every glass bottle the Heinz Company makes. It is simple, if you take time to remember. 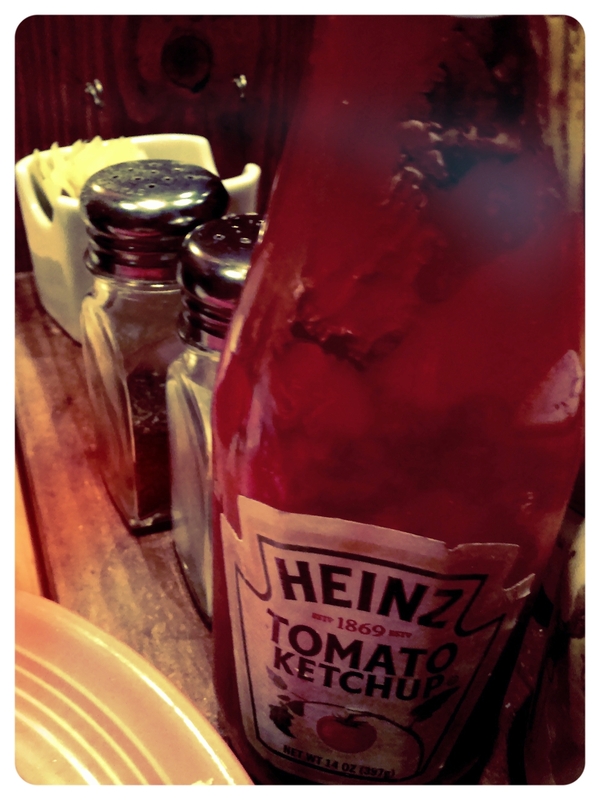 I am sitting there, ketchup flowing, and it hits me: I not only forget the simple lesson regarding this bottle, but I spend hours battling in many aspects of my life all the while forgetting the innumerable simple lessons and tricks I have learned over the years. In my short 41 years of watching the human race, it seems we would often rather battle than return to the knowledge we have gained in the hundreds of life lessons handed to us over our lifetime. Yet, we somehow take ridiculous honor in earning the same badge of courage over and over ignoring where we have walked, so to speak, ignoring the spots of wisdom that would make the pour much easier. The more I have stepped back this past year, taking an objective look at my life, the more I have realized that there are many battles I wouldn't have to fight over and over if I would take a better look at where I have traveled. There were some pretty rocky spots so far, but I came out on the other side...always. But let's be honest, that never happens without banging our head a few times realizing we have some pain or disappointment to attend to, and then deciding to move forward armed with a few new tricks in the bag and acting on the knowledge that we HAVE those tricks. BUT...we often toss that collective bag of tricks behind us. More life battles arrive and instead of first taking a huge step back, adjusting our perspective as we go, we just run head long into the battle. Emotions take hold, and we take up the badge of guilt and blame, and in many cases, we assume, that ultimately, this is just how it always goes for us. But this does not have to be the case, in other words, we don't have to launch the ketchup bottle into space. Think back. You may have faced some incredible obstacles in your life. What did you learn? No really, focus on the learn part. This is not an exercise in keeping track of the injustice committed, your failures, or any choices you would have reversed, get to the "what you learned" part. Not easy, but climb on up and take a look back. Let me share one spot of learning in my recent collection. This past year I got divorced and the end of that particular path leaves you looking back with very different eyes over every choice you made in that relationship. Definitely plenty of lessons to choose from. The biggest lesson to come out my marriage was the importance of being deeply honest in all you say, think, and do. I was not honest with myself for years in my marriage; really even at the altar we both knew it was wrong. But somehow you get better and better at hiding your feelings, you believe the lies society and tradition tell you about where you should be on the life check list, and you numb out. It got to point where hiding that honesty was not only damaging the two hearts in the household, but it was also beginning to physically take a toll on my body. Being real and honest, as hard as it may be, regardless of the outcome, is critical in life. Lesson learned the hard way on that topic...yet life continues to beat forward and now my perspective is crucial. It is far too easy to throw the old behaviors on and act with the blurred thinking of the past. I am trying to remember that Heinz 57 spot. I have so many lessons I gained from 17 years of marriage and to not apply those battling headlong into more conflict in the next relationship would be the same as wrestling with that stuck ketchup when there is a better way. Easy to listen to fear and what society and "normalcy" say, but let's cut the crap and be honest about the lessons we have gained. Let's admit we've made some mistakes, had some tough things happen, failed at times, even let others and ourselves down, and then we can FINALLY focus on what we learned, those magic spots, and move forward acting with that knowledge. It is about training yourself up. In my case, I know the damage of not being real and honest; I have to make a conscious choice to train myself anew. I am trying to reverse years of behavior and that means in every area of my life, not just where I first saw it, but in every aspect I need to be as real and honest as I can muster. And so even in this article that I am about to send into cyberspace, I am still going to continue my training, using the lessons I know and act with honesty. And if divorce is a bit too real for you that only tells me you are due for some conversations with yourself. So here is to the Heinz 57 spot...we've all had incredibly daunting experiences and they will continue to come from time to time, but when the next struggle arrives, take a second before you run head long into battle. Look back, and see if you haven't already faced similar situations, then dig into those magic tricks and focus on what you have gained walking this life. We have so much to give, so much heart to live out and yet, we let endless battles drain our passion and love. I'm done shaking that bottle endlessly; there is a spot that works. I am going to walk in the knowledge I have gained and let the struggle go. I feel I am called to be full of joy, not disappointment. Time for "learning from the past" to get the recognition it deserves, after all, I have a life to live, and talent to share. Let's be bold! Anyone up for burgers? I know a place, and the ketchup is a flowin'! I was asked to write about courage from the woman who just might be the bravest person I know. I laughed at first and then sat back with a big 'woah' of gratitude for being recognized as courageous from someone like my friend Heidi. Thinking of myself as courageous is new territory for me - but understanding true courage is also new for me. I thought I had not been courageous all of these years because underneath this character who was engaging in radical self-expression regardless of the consequences, I was terrified. There has been, and still is as a matter of fact, a lot of fear in my life. What is different about today is that the fear is no longer in charge. Every day I have a chance to choose fear or love - every turn, every moment there is always a choice of love or fear. I didn't know it back then, but as I was the high school teenager cutting my hair into mohawks and turning them fuchsia and blue, I was choosing love for my eccentrics and expression rather than fear of how I might be perceived by my peers. The fear was ever present, but the action stood the same. There have been so many fears that I thought were reflections of true danger, but have merely been a reflection of living without trust, that everything is always okay - I am loved, fed, given shelter, water and breath ALWAYS. With this understanding there is nothing to fear. I am currently learning the loving side of a fearful coin - I am a gender queer person who has held many beliefs of how to keep myself safe. I have been taught to avoid danger through changing my behavior or modifying my body. I am currently traveling the country, living out of a tour van, going to places I was told to avoid, talking to people I was told would reject me and engaging in a level of honesty in spirit and body that I never could have imagined. I have not been met by opposition or bigotry like I had feared - by stepping out of the deception of fear and walking with love for my authentic self I am finding that we are all creatures with the same needs. Food, water, shelter, breath and love. I am here to give and receive all and with that there is nothing to fear. Are you doing the Apathetic Shuffle? What’s holding you back today? There’s a scene in Joe vs. The Volcano (seriously good 90’s stuff – you’ve should check it out!) where everyone trudges into work. Ominous music plays, feet shuffle apathetic, gray skies ahead, muddy path…a scene lacking life. Because life implies growth – movement – passion – LIGHT! Even when life throws you lemons, there is still an alertness and understanding of pain, and hopefully comfort from those around you. But too many have settled for an apathetic, guarded existence because it’s too much. It’s tough to get involved and care. You lay yourself out, exposed, and there is always the risk for rejection and hurt. No one is immune to pain and hurt and embarrassment, so that risk is a bit imminent in one form or another, so the good news?! There is also JOY. Vibrant life which is marked by your energy, hope and willingness to try. And that takes courage and vulnerability and the authentic you. Can you see that person? Can others see that person? There is a ticket booth where you get to jump on the train of living authentically. But many are stuck at the ticket booth. Excuses of outrageous price (it is a steep one: allowing yourself to be vulnerable can take a lot of energy and courage). Or what if the ticket booth is closed by the time you get there? Just confirmation that you waited too long and couldn’t really catch the train anyways - one more notch in the “I knew I wasn’t good enough” stick. Guess you’ll have to just try it – see what that ticket booth has for you. And better yet, where that train could take you! No promised rainbows and butterflies or the land of milk and honey, but I can guarantee you that living as who you truly and uniquely are will be the most energizing trip and the most important one. What is your definition of living authentically? Will those just be jotted words in a notebook? Rolling around as “too big”, or, did you just buy your ticket? Where is the Downtown Eastside of Your Community? There is much that has happened in the last couple of months, one of which includes several members of our team picking up and relocating to different parts of the continent. My husband and I moved from Colorado to Vancouver, BC. I have learned a lot in the transition of moving to a completely new place - to a place that isn’t too different from where we came from, but in the act of changing one’s physical location there is much stirring up that happens in the soul. So much so for me I feel like I’m constantly ruminating and attempting to formulate the revelations that have sprung up in my heart from this new reality that honestly, it has been challenging for me to return back to the writing board. I decided to write about the biggest thing that has been on my heart lately and impacts this new place I call home —the Downtown Eastside (DTES). This area is the oldest neighborhoods in Vancouver and is one of the poorest in all of Canada. One of the primary negative causes facing people in the DTES is a breakdown of the family structure that has led to an unstable community full of hurting people, many struggling single parent homes, and misunderstood social outcasts. Many issues this community faces include mental illness, drug addiction, HIV infection, prostitution, homelessness and/or inhumane living situations. There are many complexities that have led to the harsh realities facing people in the DTES, and this is in no way a complete explanation or picture, but a glimpse into the challenges people encounter. But what struck me most was the vibrant rays of hope surrounding that neighborhood. A few weeks ago I was able to see a picture of Vancouver’s response to these difficult circumstances: Homeless Action Week, which is an annual event focused on bringing public awareness and understanding to the issue of homelessness in the Greater Vancouver region. The week is intended to give the public an opportunity to get involved in homelessness. One of the opportunities was a walking tour called the Eastside Stride with the purpose to break-down misconceptions about the area and help it become a beloved part of Vancouver. The tour guides were people who had lived in the area for countless years and knew of the challenges and hardships first-hand, as well as the bright opportunities available to them through the many compassionate organizations and people in the area. From this tour I learned more about the complexities the people face that grow up and live in this area, but what stood out most clearly were the many people who are shining rays of light and hope in all of the corners of the neighborhood. The more you learn about those who are homeless or those that society would consider to be social outcasts you see less of “them” and more of each individual person. It’s complicated as there are usually several causes that greatly affect their current situation. Something that I have learned and now attempt to engrain on my heart is- everyone’s story is different. I cannot assume I know what people have gone through and what their life experience has been. This has stood out even more boldly to me since moving to the diverse city of Vancouver. Being in a completely new environment where people from all over the world reside, you learn quickly that it is not wise to assume. 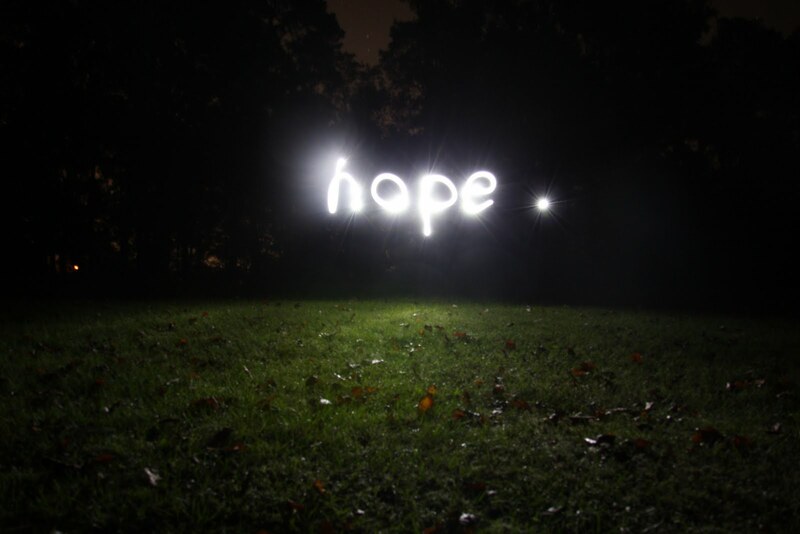 This is why it is so vital to learn and experience areas that might be known to be ‘dangerous’ or ‘hopeless.’ Because more often than not, they aren’t – they are full of life and hope. And we as a community can work together to ignite those vibrant rays of hope. It will take all kinds of people to join in and contribute to the Downtown Eastside, as well as in areas of your city to change the story completely. Where is the Downtown Eastside of your community? We urge you to seek out and learn about the struggles facing many people in your community, the specific needs, and the organizations that are doing something about it. Chances are there are pockets of people right under your daily radar. Do what you can to help, where you are. The possibilities will open up as you go along. We all have unique personalities and talents- we all have much to offer and give. The funny thing is, when we give of ourselves- our time, creativities, financial support, or possibly opening up our home to a neighbor is that we receive way more than what we give. Just like anywhere else in the world, Vancouver’s citizens are in all different places of life, but there are some who are in more physical and emotional need. As a global community let’s unite to spark those vibrant rays of hope in the darkest of places. If you would like to learn more about the DTES or events mentioned in this post please contact Stephanie at TheAuthenticityProject@gmail.com. Stephanie Zeller is the Community Director at The Authenticity Project. For the past 3 years I have been on a journey, at least that’s what I’ve been telling myself. Then I would follow that up with something about ‘winding roads’ or ‘hills and valleys’ and then remind myself that in the end it’ll all be worth it. One day I’ll stand upon the mountaintop and see the path and the place from whence I came and celebrate the journey that brought me to this lofty height. Cue the music, fade to black. Here’s the problem with that. It’s all self-actualized non-sense. At least for me, and please let me explain. Growing up in Colorado I went camping and backpacking a lot. Most weekends you would find my friends and I on some trail in the Front Range. Every once in a while we would head out for a week, we’d go to Mountain Chalet -the best outdoor supply store in the world- grab a couple topographical maps of whatever trails we were looking to explore, pack a bag with a change of clothes, a lot of ramen noodles and head out. A map, some bare essentials, and the spirit of exploration. This is the base for which my understanding of journey comes from. Everything up to this point has brought me to this simplistic and limited idea of what a journey is. However, I’m now 41, have a wife, 2 kids and a mortgage. I still have the spirit of exploration burning in my soul like a fusion reactor. But, now, the terrain has changed. I find myself without a map, and a lot more stuff in my backpack that I don’t remember packing. These days my journey has become less exploration and more a scramble for survival. I’ve gone from Lewis and Clark to The Walking Dead. All the while the path gets longer and longer and the bag on my back gets heavier and heavier and the fear starts rising higher and higher in my throat until I just want to scream and give away my position. Let those undead monsters feast on my soul. Just give in, fall in line, start wearing golf shirts on a regular basis and get a “real” job with a steady paycheck. But the darkness never comes and instead of music I hear a voice from just behind me, beyond the bend in the trail. It’s the voice of everything up to this point. It’s my childhood, my adolescence, my wife saying “I do”, the sharp gasp of my children’s first breath, the wind moving through the palm trees in Haiti, and the sound of my fingers on this keyboard as inspiration finally hits. I can’t go back and I can’t stay here, so I tighten the straps on my shoulders and follow the path, one small step at a time. Driven by the desire to see what’s just around the bend and fueled by the voice that echoes from the past. It’s the voice of the journey. Erik Ewing is Program Director at The Authenticity Project. I am sitting here in a coffee shop, and I am overcome by the odor coming from this old man. I watch him bring in his small metal cart settling into a spot. His pants are held up with a section of old rope. His gray hair is unwashed and his jacket is heavily soiled. It is not the first time I have seen him, as he seems to come here about once a week. Same outfit, same spot, and same actions. Holding the rope tighter he approaches the counter to order. He orders a sandwich and slides a lid over the hot cup of coffee. He settles in his chair, and begins to enjoy his sandwich. The first time I saw him a few weeks ago, I noticed that he wears bright pink earplugs, and he orders his food as to require zero communication. Soon the jazz pianist for the evening comes in the door and begins to set up to play and he immediately takes out the earplugs. He then got up and moved to the tip jar by the piano. Digging in his pockets he pulls out a $5 bill neatly straightened and places it on the side of the jar. He gently pats the jar, and returns to his seat. As the woman begins to play, another customer asks the man a question about moving his cart. He was frustrated and ended any conversation when he answered: “I’m just here to see my daughter play, that’s all”, immediately turning his back to watch the woman play, placing his hand over the earplugs lying on the table. As she played he beamed. She gently smiled now and then towards him, and every time someone placed a little green in that jar, he just tilted his head back smiling wider. When he first entered the coffee shop, I watched others cringe at his appearance, and it is hard not to watch. I could tell that not very many people had seen him here before, so few knew that he always, well in the few times I have seen him, orders a sandwich. But it did not matter that he is a patron, or that he invaded no one’s space. It’s just that he did not fit. It’s as if “less than” seemed to be the definition posted above his head. But as I watch him enjoying every note of the music, and for the first time the earplugs were removed, I saw something different. Contentment, and honestly, love. Tonight, he did not ask anyone for anything, he did not even talk to the woman playing. He just beamed with total joy. The strange part is, the other people had somehow decided with their looks and body language that this man did not deserve to be there, and love was far from anyone’s mind when it came to him. Even my reaction was not as I wish it to be. Yet we missed it. His love was bold, and so was his joy. I did not even see him concerned about his appearance, nor the stares or comments of others. He had a purpose, a gift to give, even if it was to acquire the best seat in the house, and place the first bill in the jar. I'm not sure if that woman really is his daughter, and it does not matter, for the connection between them still exists. She did not seem to care who he was, she loves that he enjoys her playing, and he loves seeing her smile. And they both seem to be immune to all the other chaos in the coffee shop tonight. Watching that man has me thinking. We have purpose. It may not always be as clear as we like, but you have something to give that no one else can. Not a single soul in that coffee shop could do what he did. It was not about the five dollars or the best seat, it was his unique spirit giving love freely. As I am finishing this article, I got a phone call. A friend of mine, who I had not heard from in a while, called to share that she was going to shift jobs. The thing is that it was not just about finding a new job, it was about a necessary healing. This friend has had a heavy cloud on her life for a while, not sure you would see it, but as someone who knows her closely, it is there. And yet this phone call was different. That cloud was gone, and as she shared her story, there was one remark that got me: "I have been serving everyone else, just never myself. Time for me!" The talk quickly shifted to following your own unique spark, creating art, and following passions. And all that fear, frustration, and talk of not being “good enough” never entered the conversation. This friend is on a healing journey, but finding sources to validate worth and love are no longer the focus - living out that unique spark that beats only in her chest has now replaced the misguided focus before. And as I spoke about previously, I am not sure we ever lose that need to want to be loved, after all it is also what brings people together, but constantly looking outward for the source is something we could stand to lose. You are the only one of YOU we got! There will never be another person with the spark and energy alive in your heart. You either let it flow, shine brilliantly, and fill every ounce of the world you touch, or it will be lost to us all. We are not allowed to always see how our spark will play out, or for how long and where, but we are given the beating in our chest to remind us we are here, uniquely here. Play out who you are and the clouds lift. Relationships with humans will wobble, gnash at our fiber, fail, and leave us wondering, but that spark in us burns on. I know you see it. It begs for air. YOU are valued and deeply loved because you are here! You are alive for a purpose only you can fill. There is no greater value, and the love, tell that heart of yours that this moment of doubt has no space, for you are going to love it right out. DO something for YOU. Breathe in your gifts and then get to exhaling them right out. Sparks of unique light....amazing aren't they?! ~Heidi Rickard, Creative Director for The Authenticity Project. Random Tuesday evening, and I am sitting here in my local coffee shop, and the deep corners of my thoughts seem to speak louder than usual, so I thought it was time we had one of those "let's get right down to it” conversations. So here goes......Am I really loved? I could pick a hundred other topics to write on, but it's this thing…this needing to feel love deep in your bones...that everything else seems to revolve around. And today, it is what rattles in my head the loudest. No matter what situation has come up this week, somewhere inside, has been the need to know you are loved. The grocery store line where the lady had tears in her eyes watching another couple, the people fighting in the car next to me at the stoplight, the lady at the restaurant who, after I commented how I loved her purple hair, remarked how bad she needed to hear that, the homeless man here in the coffee shop, and yes...even in my own living room it creeps in. And before my friends who read this wonder if I have finally lost my mind, or if I suddenly forgot they exist, I am blessed to have many people around me who love me, yet that thought still creeps in, and I am going to wander out on the limb of vulnerability and assume I am not the only one finding this thought rolling through. In my short 40 years of human observation, the one thing I have seen that humans seek more than any other thing is feeling loved. I am sure a few might ask what about the importance of seeking things such as a well-paying job, money, fame, or even the basics of food on the table? To me, it seems if love and compassion are truly present, needs are met...and yes, even food on the table. And even our desires for things like fame or success often tie back to that love thing. So what about food, isn't it a little hard to just love bread onto the table? Of course I am not saying that love alone will feed you, but I have a few friends who have lived in what we would consider third world situations, and I have always heard stories of how they were still able to feed everyone a basic meal. Not a four-course meal, but the basics, simply because villages work together, looking out for one another, and they share whatever they have. Call it engaged no-strings-attached love. Money? Well not saying we can totally operate without that either, but at the core it seems, in our American culture at least, that the incessant quest for more and more of the green stuff often goes back to some unfulfilled need to prove our value. Deciding who deserves the most love has been simplified for us into dollar signs and somewhere money becomes a pacifier for filling that empty love space in our hearts. A few years ago I realized that the constant need to have new stuff seemed to take more and more trips to fill. I had racked up many a credit card filling that space inside, but it never worked for long. However, the credit card companies sure "loved" me. Ultimately, it was after a vacation where I was totally content in my heart, that I realized the urge to shop was not as strong when I was content. As I thought about that more, I realized that something was not right deep inside. Being honest, I was stuck in a relationship that instead of fostering growth was taking a toll on my heart and shopping was never going to be a permanent fill, yet we continue to try and find ways to fill this sense of not feeling good enough or loved. No assumptions that you will resonate with my story, but money is a pacifier for many and our credit card addiction as a nation would testify to that. So in my head, I still come back to the need to be loved. Deeply loved. I'm in a new relationship, and at times, it is a battle in this head of mine not to define some of (or on other days - copious amounts of) my self-worth by the actions of this one person. I also just moved out of state and finding friends is taking a while. And don't even get me started on the scars divorce leaves, even if it was mutually agreed upon. Add to that the death of two people very close to me in the past year, and yeah, looking for that affirmation. Am I really loved?? Don't get me wrong, I am not seeking pity, but if you and I were to sit down and get right down to it, we all have these scars that leave us wondering if we are really loved. The trick is that we often spend hours looking for that need to be filled from outside sources. In our search, society has brilliantly conditioned us overtime to think that money, fame, status, physical attractiveness, and even the number of likes we get on a social media post are all excellent ways to evaluate love and our value. Honestly, sometimes it feels like there is almost no way to retract my belief in this system. Isn’t that just the way it works, and what's wrong with having money, fame, or looking good? Well, a lot I am finding. I am not sure of how to totally fix the needing to be loved thing, and as I arrive at the end of this page, doubt dances about in the edges, but I do know there is one thing we can do....live. Boldly. Our value, ultimately and brilliantly, does not and SHOULD NOT arrive from any outside source. We have to first love ourselves so unabashedly that others wonder where the energy comes from. That type of love arrives from living out our unique inner being, leaning into our own gifts, and heeding that calling that says you are meant for more. What if we encouraged each other to do one crazy thing a day? What if we all just stopped pretending that we were right? What if we looked in the mirror and smiled? What if we let the other person go first? What if we believed all humans were actually created equal? What if we listened to the news less, and music more? What if we ate healthy 6 days a week and went nuts on the 7th? What if we stopped shaving? What if we just let kids play sports for fun and exercise? What if we were totally honest with at least one person? What if we settled all our differences with pillow fights? What if we let people love us for just who we are? What if we respected the elderly and protected our kids? What if we all volunteered for one hour a week? What if we stopped looking at each other’s butts? What if we paid teachers more than professional athletes? What if we all agreed enough with the smartphones, it's time for jetpacks!? What if we all took a 20-minute nap at 2:30 everyday? What if we acknowledged other people’s beliefs as valid as our own? What if we stopped feeling guilty and just did something about it? What if we started each day with a quiet cup of coffee and a deep breath? What if we loved more, judged less, and stopped honking in traffic? What if I did any of these…just one, for one week? What if you did it too? The season of warmth brought an incredible new heat to Colorado this summer for an awful sequel to the horrific film of last year's consuming fires. The cornerstones of Colorado rest in the mountains and the trees and last year the mountains burned with the Waldo Canyon fire and this year the trees of the Black Forest were consumed by that glowing wonder of the world. Imagining the heat that spread over the dirt and debris like an incessantly rising tide can only be rivaled by the burning eyes of the people who poured water on the earth from their own eyes as what they knew went from their strongest asset to their most fragile desolation. The thoughts that are sprouting here are a tribute to each of the folks who stepped through the embers; those who fought the flames and for those who have been left in ashes. This summer, I was asked to inspire eager young minds, and I had just days earlier stepped among the crumbled pieces of a home in the forest that I have grown up gathering memories in. I was left inside myself thinking about the blackened and burnt life left to cool, but was distracted by a paralleled focus on the new green sprouting from the floors and the walls of the forest that ignored the loss and demanded their renaissance. The images following nature’s most agitated moments can leave anyone in disbelief, and scrambling across the crumbled bricks of the walls of my extended family’s home left me wondering how in the world I could honor them and their loss while also sharing their surreal positivity to peak the minds I would be addressing. I decided to ask the eyes searching me for inspiration to think about the cornerstones that they have in their own lives. What are the four strongest values, quotes, ideologies or mantras in your life that your whole being rests upon? Often as humans I think that we begin appreciating the strength of our walls years after the foundation has been poured and the cornerstones placed. Inspiration can be that return to the base of the building that has now burned to the crumbled debris that I was stepping on. 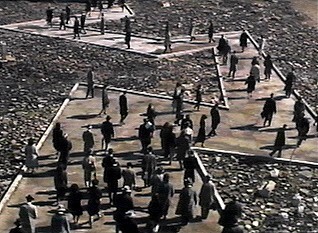 Hearing the broken bricks scratch against each other brought the sound of their pain to the quiet and wounded landscape. Understanding how quickly the world took the confidence of this family’s cornerstones to the crumbs surrounding me refused to rest in my mind. I was lost in how something so tangible could be used to understand something so imaginative. What parts of our life crumble before we understand their strength, significance, or symbolism? What things in our lives do we have to destroy brick by brick before we can build ourselves again in a stronger and more stable way? When the world does the ferocious demolition of everything we know, what types of moments ensue? How much water does it take for the embers of our loss to stop glowing or how much of that water will bring fresh life to such a blackened forest that we can find ourselves in? The answers to these questions may not grow until your heart is ready to dig into the barren ground and take root. For the hearts here in Colorado I wish you the relief and revitalization of cool water. I wish you the sunshine and positivity of support and rejuvenation. I hope for the new growth of your homes to be surrounded and protected by overwhelming passion for perseverance. Beautiful balance and stability can be found in mighty stones and the dust of what was, because cornerstones can crumble and buildings might burn but with boldness and courage we can rebuild ourselves till the new green grows. Kody Maynard is a guest writer for The Authenticity Project. Marking the 50th Anniversary of Dr. Martin Luther King's "I Have a Dream" speech, we wanted to send a little bit of thought out there to challenge the way you may view others around you. We hope this story, written by our Creative Director Heidi, reminds you of the immense beauty that is all around us in EVERY human we meet. Some of us may be walking very difficult paths, some may have different values or ideas, some may dress in clothes outside our comfort closet, some may even be so broken emotionally we find it hard to see below to the beauty hidden beneath the scars, but WE are all human. Let's connect more, divide less, and never stop dreaming the impossible into the realm of possible. Read on, and then get out there today and connect with others you might normally pass by. Try this on...airports are a place where humanity actually thrives. I know, you are thinking "Have ya been there lately?!" Well, I am here now. Airport terminal, flight delayed, angry people, sticky chairs, and the cell phone outlet station is home to myself and seven others seeking that elusive charge, and yet...humanity thrives. This terminal is alive with some of the most beautiful expressions of humanity, but do we take time to look? I pass two children about age two. They are locked in embrace and swaying from side to side, smiles from ear to ear. At first I wonder if the two families know each other, then as I get closer, the two little girls smile and say goodbye. I hear one of the mothers say, "Well, that was fun to make new friends wasn't it? You never know who you can be friends with." I had to stop the mother. She was just letting humanity happen, and it was perfect balm for my heart, the kind of moment that whispers there is a better way. Earlier in the week, I was at a restaurant when a little girl approached our booth. She stood there, nose even with the edge of the table, and she just smiled humming a little tune. Instantly her mother screamed to get away from others. And now, just days later I am watching two young humans shed the notion that we should stay away from others. I asked this airport mother if she knew the other little girl her daughter was hugging. "No, she said, "Our kids just connected," and after a brief pause she added “like they are supposed to." Heart beaming I said "Little humans just let those barriers go." She smiled, “Isn't that so great?!" As I walked away I thanked her for letting humanity be the guide. I see it again and again here. 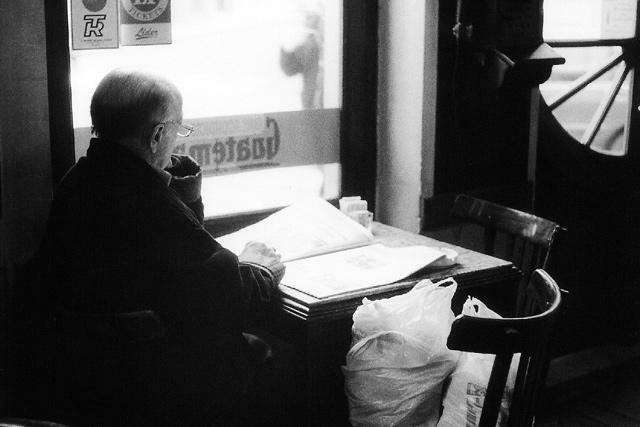 People just taking time to be, to rest, share a story, buy a book and a coffee, to engage in a conversation with the person next to them. People helping others. Watching out for one another as we navigate this thing called travel. I see it from the curb to the luggage pick-up. Tears and genuine embraces as people part. People seeing each other off on journeys of all kinds. People at the ticket counter smile as you shuffle through your junk to find that boarding pass, asking where you are headed with more excitement than just the acquisition of knowledge. People waiting for planes begin to share what they "do" and then suddenly they are sharing about divorce, their aging parents, families, and challenges of all sorts. And we have all had that experience when the person next to you on the plane suddenly becomes someone you share your deepest fears and dreams with all in the course of a two hour flight and a complimentary beverage. Now, of course I see the worst of humanity too, but not as much as I see beauty. Maybe in our need to get to wherever our "next" is, the delays force us to take a minute to see what is around us. Maybe it is being tired, hungry and smelly -- sticky tray table banging our knees, all while piled in seats that had to have been designed by elves, that all the nonsense is left behind and we decide there is nothing else to be but human. Or perhaps it really is in the idea that these humans are different. With these humans we have no past, and most likely no future either, so we decide to embrace delays and gate changes and that small bag of peanuts and be real....human, exactly as we are supposed to be. For centuries we did this. We lived in small tribes, ironically no larger than the amount of passengers on this airplane I am about to board, and we circled up around the fire and shared…we practiced being human. But over time we found ways to divide, we made the groups larger - from 100 or so to cities of millions, and that act of gathering to be human faded. We isolated, and at times we hardly practice being truly human in our own homes where our closest tribe members resided. I find it amazing that we lived in these small tribes for about 50,000 years and yet this idea of division and huge cities has only been our accepted way of living for no more than about 6,000 years. Even that depends on your definition of "city". As a race, we have way more practice living in smaller communities than we do conquering, dividing and living alone. We simply have forgotten how we once lived. Perhaps that is it, the whole reason airports and planes are different. Here we are, a small tribe, 30,000 feet in the air living together, even if it only is for 120 minutes or so, something inside us remembers and a strange comfort comes over our "normal senses". So here comes The Authenticity Project challenge...Why only in Airports? Where else could we embrace the sticky surfaces and delays and just be human? Sit a little closer, share a beverage, and then sit back and enjoy the flight, wherever you are, actually enjoy. The toughest part I have found with this word authenticity is the human part. For a species that spends so much time with others of the same species, we are awfully afraid of being who we are...human. Deep in our ol' hearts, we know how we are supposed live, so let's get in there with all the authenticity and be human together. Let that incredible human, called you, experience. For there is no doubt that there is so much more to you and I than a two hour flight and a beverage in a plastic cup. So what are ya doing later? What to take a quick flight and just be human?